The Duquesne Club is exclusive. It’s classic. It’s polished. It’s timeless. We strive to serve as the preeminent destination for the most interesting thinkers and innovative leaders in the Pittsburgh region to meet and converse among colleagues, conduct meaningful business transactions and develop lasting relationships. 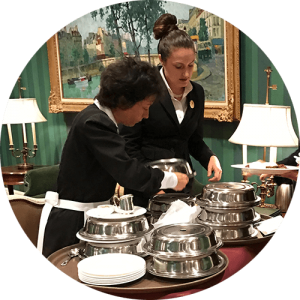 Ensconced in elegant furnishings and world-class art, the Duquesne Club has been able to cultivate its collegial yet legendary ambiance by providing the best for our members and delivering it with the utmost respect and care. The Duquesne Club provides all of this, at the finest quality, with uncompromising service.